Let me state this right from the start, I am a striper man! I have tried fishing for most other types of fresh water and anadromous fish but for some reason the striped bass has always caught my attention. It’s the size potential, the great fight they put up, the nice silver color, and the tasty flesh they have, all of these factors draw me to the striped bass. The rains caught me by surprise last year. I purchased my fishing license in April but the rains in northern California kept coming until late June. By then it was hot and the striper run was far gone, but I still managed to catch a few in the Sacramento River. I am anxiously awaiting the striper run. Thse fish are anadromous which means they are ocean fish that make their way up freshwater rivers in order to spawn. During Spring large numbers of striper swim upstream and spawn in the waters of local rivers. I usually fish the Colusa stretch of the Sacramento and have come to learn that the striper bite is pretty great in Colusa during the run. I am looking forward to that run and I will be posting pictures of my larger catches. Welcome to the world of blogging. I think you're off to a good start. I see Steve commented on your first post. I didn't get the first comment until the 6th or 7th post. 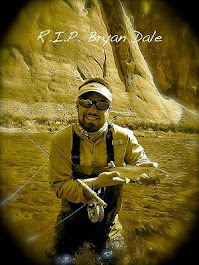 I've got you on my blogroll under "Our Fishing Friends" and will follow as you post. If I can help with trout fishing (most of what I do), give me a shout. Let me add my greetings to you and your blog. Sounds like we have some things in common. I am a bank fisherman also. Just read your posts and agree with Shoreman. Looking good! I have signed on as a follower and will read as you post. Oh, and thanks for the visit and comment over on my blog. I am adding your blog to my blog roll this evening. Thanks for adding mine to yours. Happy hook ups!